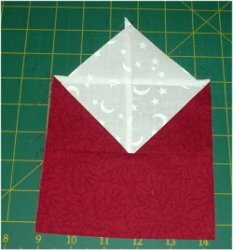 Now let’s sew a Unit #3 to a 5 1/2″ x 3″ rectangle of your color #1 fabric as shown below. We’ll call this one Unit #4 and you will need to make twelve of them. 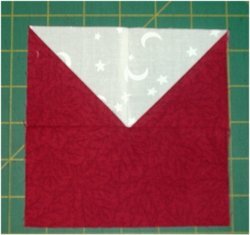 Sew a Unit #1 to a Unit #4. We’ll call this Unit #5 and we’ll need two of them.